I'm so happy to be back blogging and catching up with you guys! It feels weird to take a week off and TRUST ME...I wish I had some cool, really exciting reason why. We've just been dealing with back to back sicknesses (told you-boring) in our house and since I've (somehow) been the only one who has been healthy for the past 11 days I've just been running around with a bottle of Lysol in one hand and a kid, or both, in the other, while also trying to keep my husband quarantined in a room and keep my sanity at the same time. WOOF! Moving on to happier topics... I've found and bought (a few are currently sitting in my cart) some pretty amazing things lately. 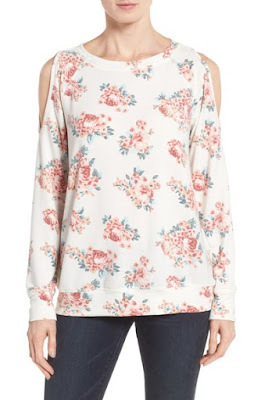 I've been kind of on a spring buying kick lately because the weather is getting warmer here and there are so many great sales happening right now! 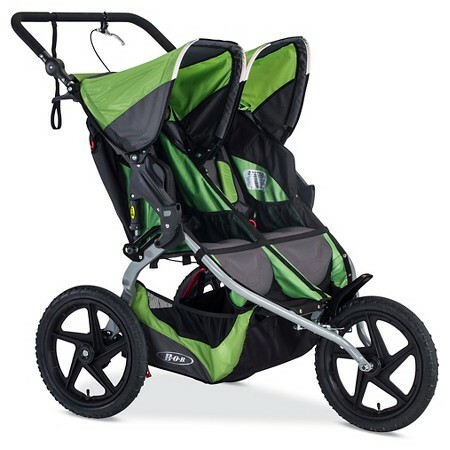 +For the kids we recently got a double BOB stroller. We had been using a tandem this whole time, but it kind of made us realize how much we prefer the side-by-side style. We think it's just easier to maneuver overall (it does fit inside our malls doors-I always wondered about that) and honestly it's not much heavier/wider than our single BOB stroller! Plus, you just can't beat the BOB when it comes to how smooth it rides and how nice it is to push. Also, Camden loves that he gets to sit next to Grayson and is always holding his hand! I think it was the right move for sure! +This cold shoulder floral sweatshirt and this gingham shirt are favorites of mine for spring! 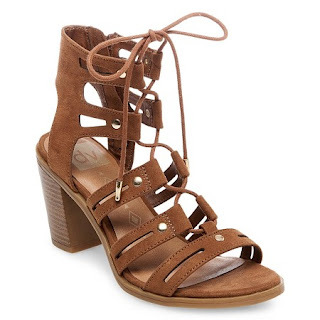 +Target has been KILLING it lately (per usual though) in the shoe department - you need these sandals and these adorable heels in your life. Oh and did you see the Sugarfix for Bauble Bar line they carry now?! Love all the tassel earrings! Alright - happy Monday ladies! 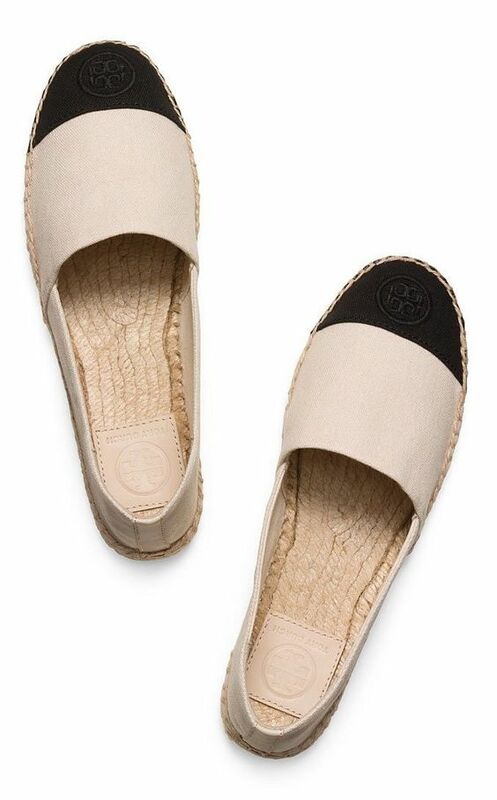 You have to report back on how comfortable the tory burch shoes are! What's your Snapchat handle?! it is @katiewkrysh! I will do that!! I bought some ACV after talking to you about it on your snapchat! Thanks for sharing it! Hope everyone is on the mend in your home!! 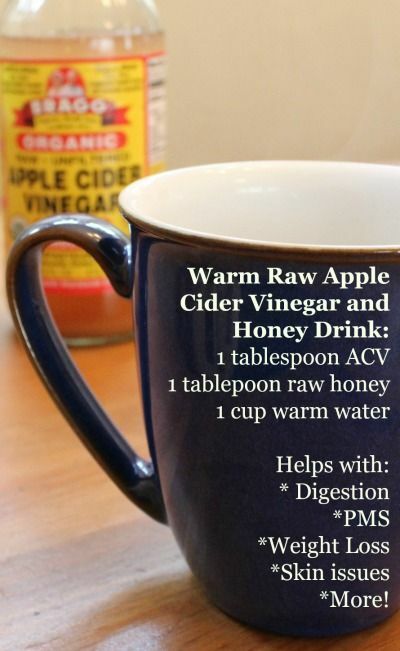 I used to drink ACV all the time. Taking it like a shot or drinking it through a straw really helped. I need to get back at the habit again! 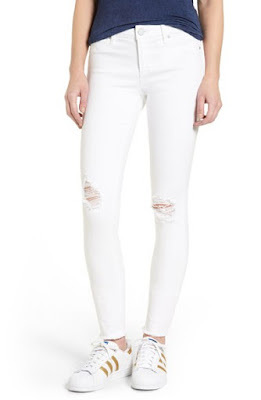 I'm so glad you like those white jeans! I have them in my cart currently and was waiting to pull the trigger. And I'm so sad that floral cold shoulder top is sold out in my size int the grey color, but I love the white and pink floral too! So jealous of your Bob side by side stroller! Lovely products.Don't bother about the quality.It always be good.. I feel like I need a trip to Target in my life now! I don't know when that will happen but those sandals are on my wish list now!